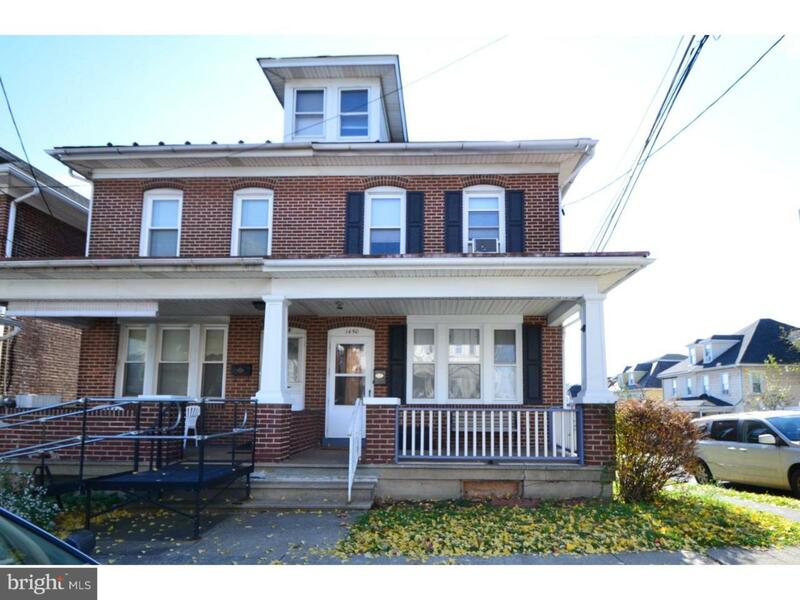 Move right in to this 3 bedroom, 1 1/2 bath, solid brick corner twin in the city of Easton. This home offers 1584 sq ft of living space, high ceilings, open concept living room/dining with new flooring, eat-in kitchen, replacement windows, hardwood floors on the 2nd floor, new furnace in 2016, fenced in yard, and potential for a 4th bedroom on the 3rd floor. Seller is including a new dishwasher and microwave which have already been purchased with the sale of the home, newer stove already installed. A walk-out basement and radon system(installed in 2017)complete this home. Located just minutes to downtown Easton, shopping, and major commuting routes make this the perfect place to call home. Schedule your showing appointment today!